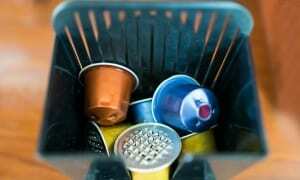 How To Clean Your Coffee Machine - Which? Coffee machines need care and attention to keep them making great coffee. 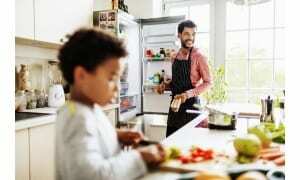 This guide explains how to keep yours at its best. One in five Which? members who own a coffee machine have never cleaned or descaled it, and about the same number do it less than once a year. If you only clean your machine annually – or never – it's more likely to suffer from leaks and getting blocked. Descaling your coffee machine is the most important thing to do to avoid problems. The degree of cleaning you have to do will depend on what type of coffee machine you have. We rate every coffee machine we test for how easy it is to clean. 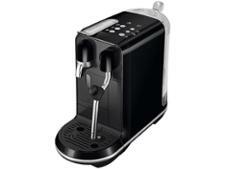 To find out which coffee machines making this job easier, make the best coffee and are a joy to use, head to our Best Buy coffee machine reviews. Read on for top tips to keep your coffee machine working smoothly. Ensure that before you get started you have unplugged the machine and left it to cool down. 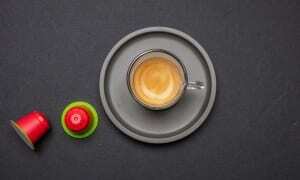 Bean-to-cup coffee machines grind coffee beans on demand and offer the freshest espresso. However, these large, expensive coffee machines are probably the most time-consuming to look after. 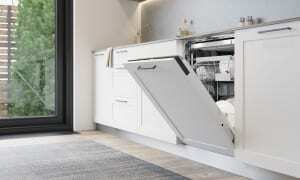 Luckily, most of them come with a range of indicators and warning lights to guide you through routine cleaning – telling you, for example, when it's time to descale. But the internal parts of the coffee machine that brew the espresso will need to be removed and cleaned. Some used ground coffee can get stuck to the inside of the internal workings (called the brew group); your manual will explain how to remove it. Some machines come with a brush for this task. 20%of Which? members have never descaled or cleaned their coffee machine. 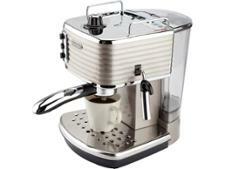 Most bean-to-cup models will come with a steam pipe that you can use to froth the milk for a latte or cappuccino. But, if you don’t clean the steam pipe afterwards, you’ll soon discover it will become blocked and can stop producing steam. The steam pipe may also start to drip. It’s quite easy to stop this happening – just ensure you clean the outside of the steam pipe with a damp cloth after you’ve finished using it, and run steam through it for a few seconds to flush out the inside. If there are any removable parts, take these off and clean them as shown in the instruction manual. If your bean-to-cup machine is beyond repair, use the 'bean-to-cup' filter on our coffee machine reviews to find a replacement. Traditional espresso machines use a measure of ground coffee, usually around 7g, which you add to the filter basket. This is then fitted into a holder that has a handle (the portafilter). You lock the portafilter onto the coffee machine to make an espresso. 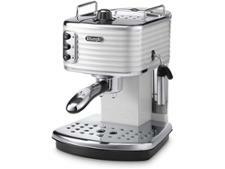 Traditional espresso machines have a brew head (where hot water is dispensed into the coffee, at pressure). This will need to be cleaned and flushed through with water. You'll also need to unblock the filter baskets (where you put the ground coffee) if they get clogged up – this happens more often if you use a very fine grind of coffee. You may also need to unclog the portafilter with a pin or something similar from time to time. Regularly cleaning the portafilter and brew head of your traditional espresso machine will keep it running well. It's worth thoroughly checking that both the filter and portafilter are clear and unblocked (especially if you use a fine ground coffee). Some coffee machines are supplied with pins for this purpose, and they can also be used to unblock the steam pipe. But any long pin will do the job. It’s also worth keeping in mind that ground coffee shouldn't be over-tamped (pushed into the filter basket so much that water can't pass through the grounds), as this can also cause a build-up of pressure and cause water to leak from the portafilter once it’s attached to the brew head. As with bean-to-cup models, you should also clean the machine’s steam pipe after use. If your traditional espresso model has given up the ghost, use the 'ground coffee (traditional)' filter on our coffee machine reviews to find a new one. Capsule machines are probably the easiest machines to clean. They're also the most hassle-free way of making an espresso, but the coffee capsules work out to be expensive in the long run. Generally, capsule machines will need flushing through with water (to clean out the internal parts) and regular descaling. Capsule machines can come with a separate milk-frothing accessory, such as an Aeroccino or a milk cartridge (which attaches to the machine). These will require more cleaning, as hardened milk can build up on the internal parts. If you feel it's time to upgrade your coffee machine, use the 'capsule' filter on our coffee machine reviews to find the best new model for you. Descaling is critical for keeping your machine in good working order. Some manufacturers now include warnings on the box and in the instructions that the guarantee which comes with the product will become invalid if descaling is not performed regularly. Scaling can affect the performance of coffee machines, especially if you live in a hard water area. Some coffee machines come with water hardness strips to test your water. To keep coffee machines in the best condition, we recommend that you descale your coffee machine regularly – how often will depend on how hard your water is and how regularly you use your coffee machine. Some machines will let you use vinegar to descale, while others suggest using a commercially available descaler. Some will only recommend an approved descaling product. In all cases, please refer to the manual for full instructions.